A century-old Japanese woman is the oldest person in history to have competed in a 1500m freestyle swim. This is just one example of how age doesn’t have to be a deterrent to staying active. 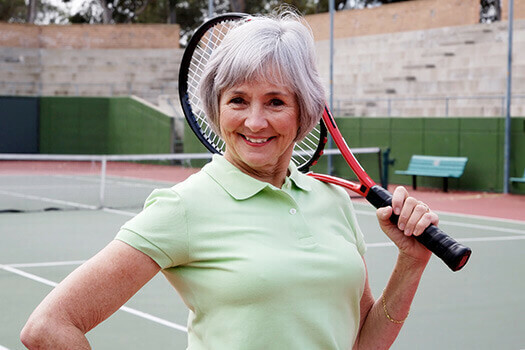 Even if your personal goals don’t include swimming competitions, there are many benefits to finding enjoyable ways to keep moving during the senior years. Because the natural aging process contributes to changes in bone structure that can affect the spine, it’s important to take steps to prevent back injuries and the need for spine surgery. Santa Monica seniors should pay mind to the following tips to maintain healthy backs. It’s great that you want to keep being active as you get older, but there are certain limits you should accept. Going for a bike ride or jogging every day is fine. But you might want to have someone else get on a ladder to clean your gutters or shovel your walkway after a big snowstorm. If you are an older adult with a back injury that has resulted in chronic pain, you may need minimally invasive back surgery. Santa Monica seniors can call The Spine Institute at 310-828-7757 to schedule an appointment and find an effective method of relief for their pain.